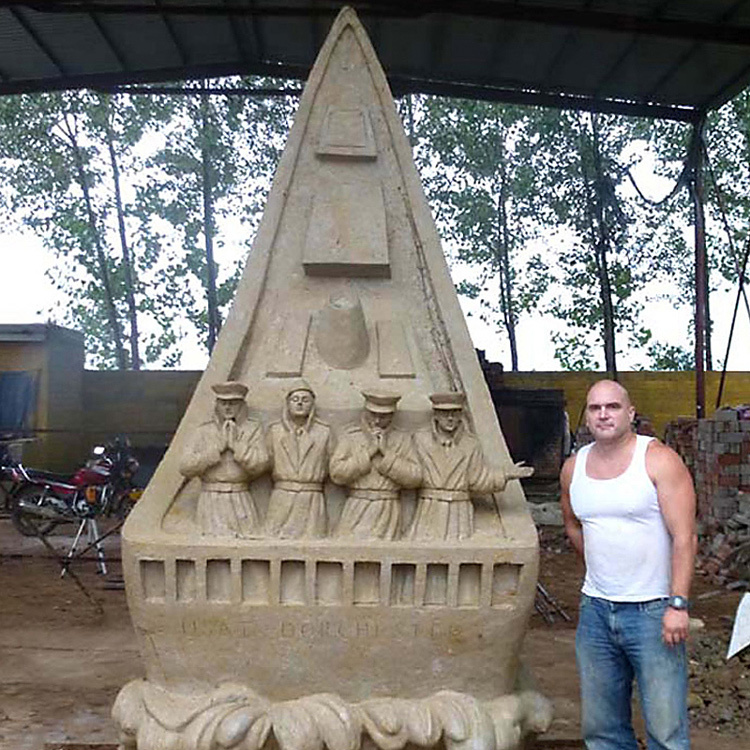 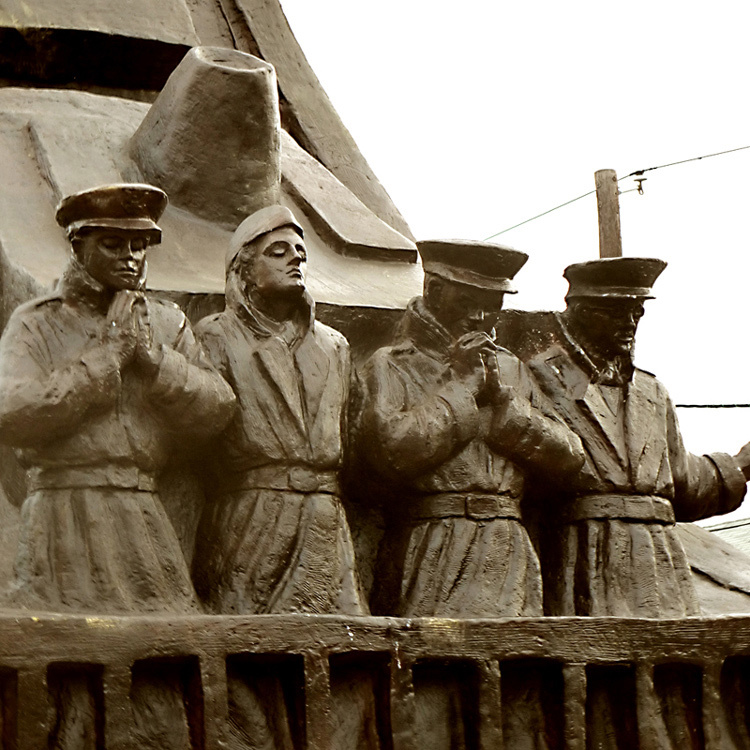 A sculpture that celebrates and narrates the epic story of the four chaplains. 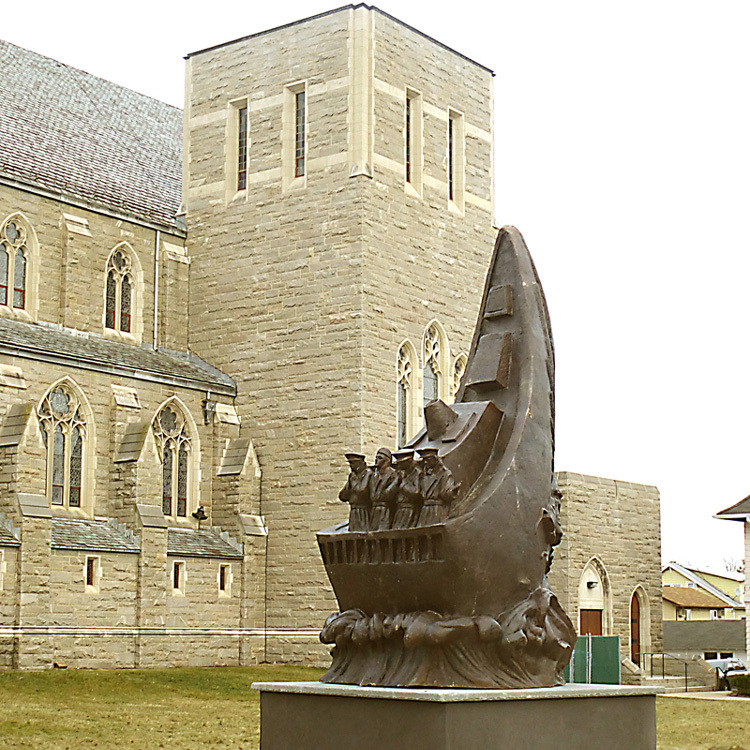 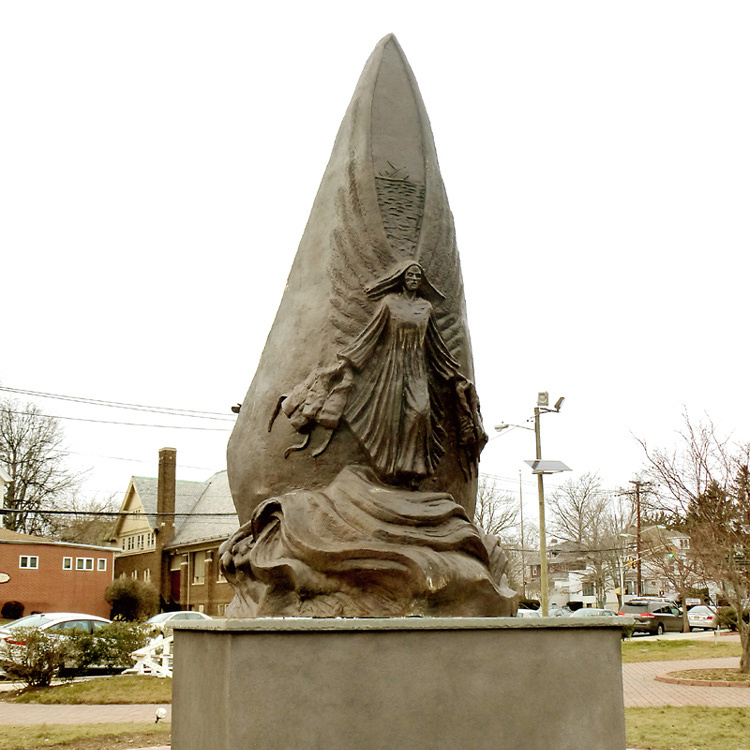 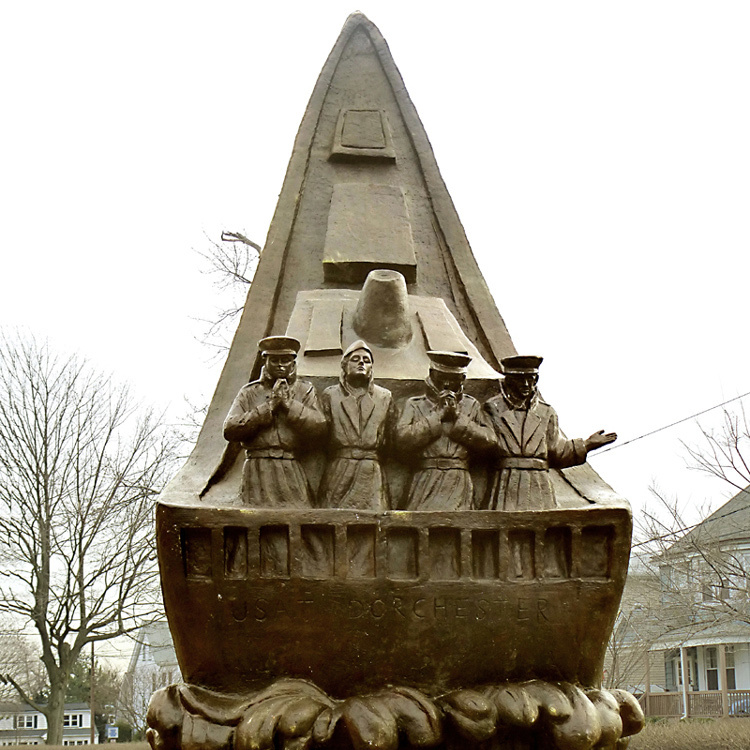 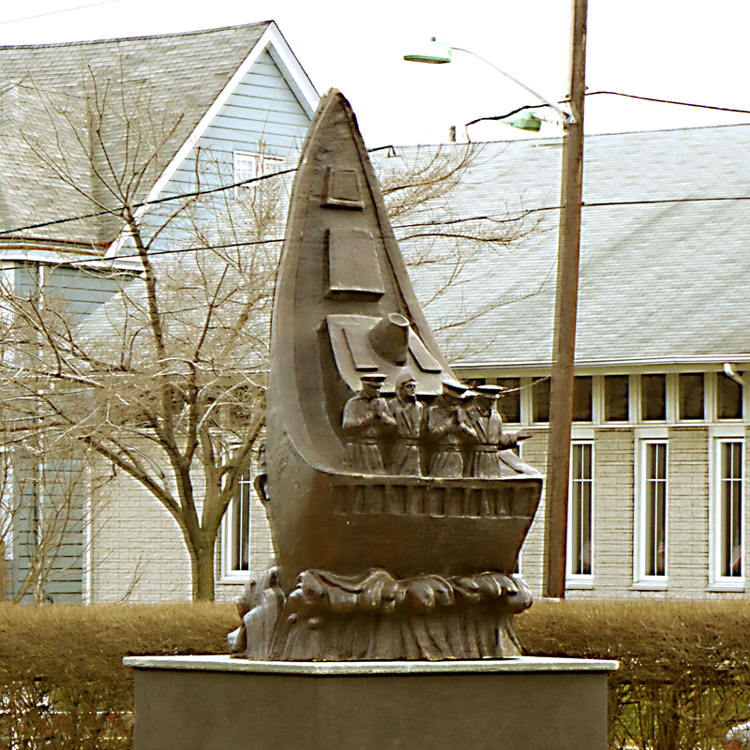 The monument shows the four chaplains praying as the ship sinks. 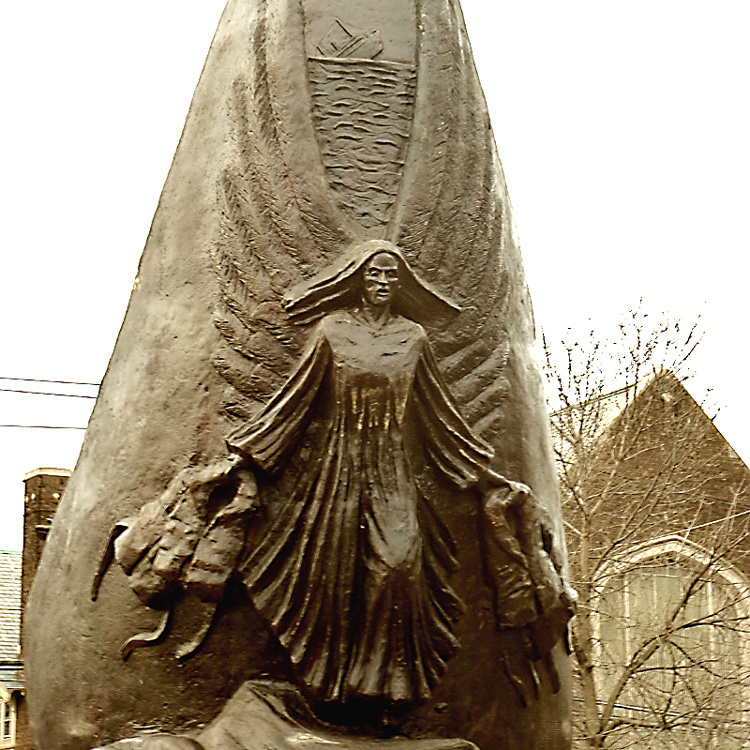 The back of the sculpture shows an angel holing the life preservers the chaplains gave up to save others.